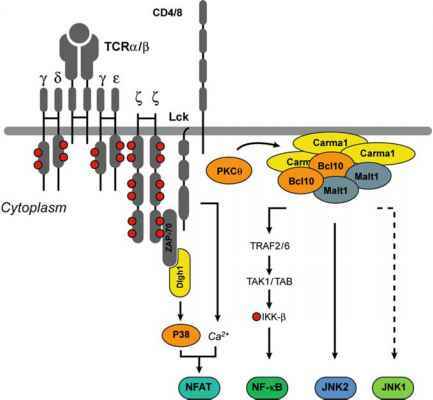 The signalling output of the MAPK cascade is tightly controlled by both the cellular compartment from which the signal originates and the duration of the signal. Cells have developed a class of proteins that confer spatial and temporal regulation of the MAPK pathway. Molecular scaffolds bind to multiple members of the MAPK pathway, bringing them into close proximity and thereby facilitating efficient propagation of the signal (Fig. 4). Consequently, these proteins act as a signal module that can regulate not only the intensity of the signal, but also the cellular compartment from which the signal originates (Fig. 5). Therefore, scaffolds provide an intricate level of control over MAPK signalling. Originally identified in yeast (Elion 2001), several scaffolds that modulate MAPK activity have been recognised (Morrison and Davis 2003; Kolch 2005). Some of these will be discussed here.